Scenarios are a crucial tool in philosophy and the sciences, in technology assessment, design and engineering as well as in management. Fictional texts that sketch alternate societies and possible future developments are systematically written and interpreted in order to anticipate change and discover possible courses of action. For such purposes, these texts are based on scientific paradigms and start their exploration from real-world conditions. The research project Science Fiction, Fact & Forecast will highlight the history and the fuzzy definition of scenarios as well as their different understandings and applications. To thoroughly investigate this functional storytelling, the term scenario thinking will be defined as an overarching concept. 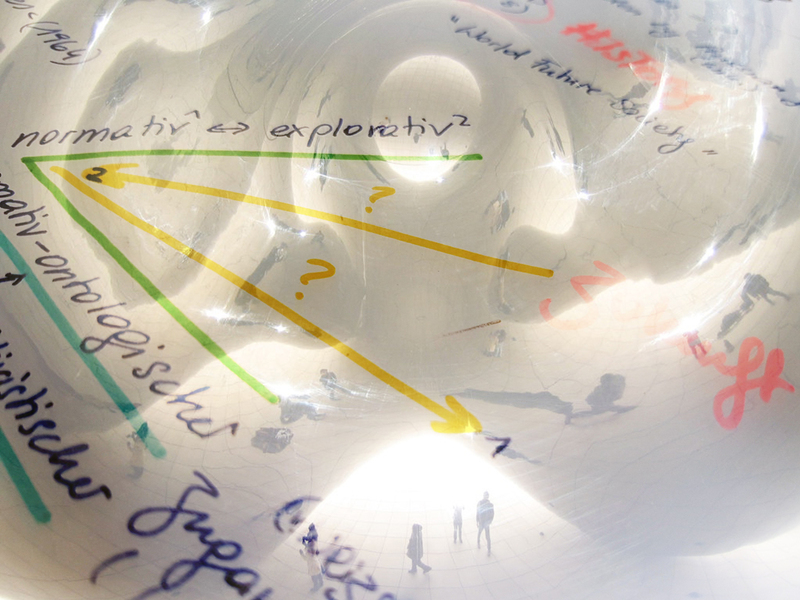 The underlying thesis of the project is that scenarios increasingly assume literary shapes. Set in the general milieu of literary theory, philosophy of science, and cultural history, the main part of the project consists of a comparative analysis of scenario thinking texts and Science Fiction literature regarding motifs, narrative strategies, and methods of extrapolation. In this framework the project addresses the question, what can literature express when mere functional thought experiments fall short. As will be pointed out, there is a growing trend for bringing together science and literature – especially Science Fiction – for purposes of futurology. Against this background, literary theory gains in importance for the understanding of contemporary scenario thinking. Despite the prevalence of scenarios in various fields, there are very few publications on the topic and so a systematic overview of the applications and methodologies of scenarios can be identified as a desideratum. The first part of this project will fill this research gap by presenting a cultural history of scenario thinking. Further, the research fields epistemology of literature and genre theory will help to investigate the nature of these scenarios and their epistemological claims. On this basis, the contemporary forms of scenario thinking will be examined, focusing on several case studies, e.g. Science Fiction Prototyping, Design Fiction and contemporary ‘Scientific Novels’. Committed to a socio-critical framework, this study concludes with suggestions for a revision of scenario thinking, based on positions that question a naïve understanding of fictionality and are critical of a mere future-driven perspective. Science Fiction, Fact & Forecast will thus contribute to a conceptualization and a critical inventory of scenario thinking, as well as to debates in contemporary Science Fiction studies.